This has been a personal and nostalgic week for the Obama and the Biden families. JAC, whose office is based in the Chicago area, has had a front row seat to watch state Sen. Barack Obama become U.S. Sen. Barack Obama and ultimately President Obama. Vice President Joe Biden has been a friend to JAC since its early days, welcoming us to his office. We were honored to have him speak at our meetings. I fondly remember the first time I met the president when he was a state senator. When he began his Senate race, we met again. Even though he was a long shot, I couldn't help feeling that his political future looked bright. Throughout my career, I have met hundreds of candidates, but few have left such a strong early impression on me as President Obama. In his early unknown days, I saw the then state Senator wandering around a reception, unsure where to go. I eagerly took him around to talk to people at receptions and JAC events. I even had my husband sit with the future president when Obama was sitting alone at a JAC meeting. Obama has always remembered JAC and opened his Senate office to us during our Washington, D.C. visits. When Obama won in 2008, I was so proud of our country for electing the first African American president and breaking that glass ceiling. It seemed that everything and anything was possible. It was an exhilarating night listening to him in Grant Park in Chicago. This week I had the privilege of attending his last speech as president. It was an emotional night as our country closed the chapter on the Obama presidency. "Our Constitution is a remarkable, beautiful gift. But it's really just a piece of parchment. It has no power on its own. We, the people, give it power. We, the people, give it meaning. With our participation, and with the choices that we make, and the alliances that we forge," Obama said. Mr. President, now we must forge ahead to continue the journey and job we began with you eight years ago. devastating for women and reproductive rights. Tell your Senators to OPPOSE their confirmation. A P lan B would promote peaceful coexistence through practical steps that restore shattered trust on both sides, protecting Israel's security while creating a more prosperous and less resentful and violence-prone Palestinian population. Plan B can help resolve the dilemma facing Israel, a high-tech wonder thoroughly integrated into the global economy but more politically isolated than ever. Meanwhile, it could provide Palestinians more living space for development, reduce incentives for Palestinian violence and help preserve effective counterterrorism cooperation between Israeli and Palestinian security forces. The United Nations Security Council condemned the truck-ramming attack in Jerusalem that left four Israeli soldiers dead. The statement tweeted late Sunday night by Sweden's mission to the United Nations "condemned in the strongest terms the terrorist attack" in the eastern part of the city and expressed condolences to the families of the victims and the government of Israel. Sweden holds the rotating presidency of the Security Council this month. The Palestinians are ringing alarm bells over Donald Trump's stated intention to relocate the U.S. Embassy in Israel to Jerusalem, fearing quick action once he takes office as U.S. president. They say an embassy move would kill any hopes for negotiating an Israeli-Palestinian peace agreement and rile the region by undercutting Muslim and Christian claims to the holy city. Why Are Israelis So Nervous About the Peace Process? In a heated exchange during a press conference at Trump Tower, President-elect Donald Trump reiterated his Tweet comparing the U.S. intelligence services to the Nazis. Regarding a dossier posted online by BuzzFeed, he said, "I think it's a disgrace. And I say that. And that's something that Nazi Germany would have done, and did do." The game, scenes of which were posted on YouTube, shows its white supremacist main character attacking a refugee crisis center, among other disturbing scenes. The game also contains racist and homophobic imagery. The game ends with audio from Adolf Hitler railing against Jews, as an anti-Jewish conspiracy movie plays in the background. So far Sen. Jeff Sessions has toed the line -- especially on women's issues. But d on't be fooled. Read between the lines , and take even a cursory look at Sessions' past, and you'll see that he's no friend to women. Sessions has referred to Roe v. Wade as "one of the worst, colossally erroneous Supreme Court decisions of all time." He has said it violates the Constitution. But by using the term "unconstitutional," what he's really saying is that it exists as current law, but that it's ripe for dismantling. And, as Attorney General, Sessions would serve as the chief law enforcement officer for the nation. 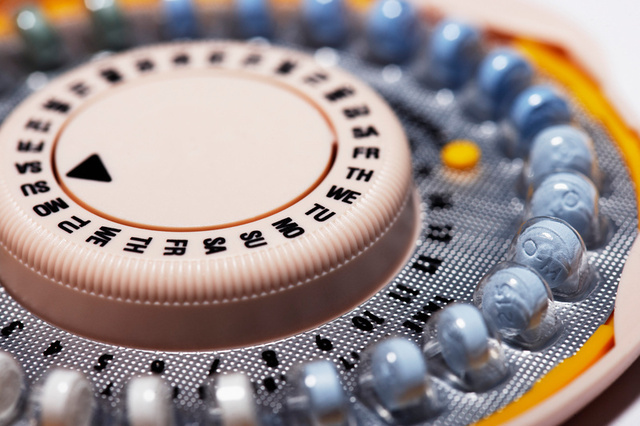 For the millions of people of reproductive age, the ACA's major impact was in allowing them to access birth control without monthly co-pays at a pharmacy or to obtain IUDs and other forms of long-lasting, reversible birth control without paying hundreds of dollars out of pocket. That's millions of dollars saved by women that could then be used for other expenses. Not only is the birth control mandate on the rocks, the GOP may not even need an Obamacare repeal to end it. President-elect Donald Trump's Department of Health and Human Services (HHS) can attack it themselves once they are seated. The future of the mandate looks pretty grim. The GOP have long targeted the health care group for providing abortion services to its patients, threatening to shut down the government if federal funding wasn't pulled from the organization. Now that the GOP has majorities in the House and Senate and controls the White House, it has its best chance in years to win a defunding battle. The fight is expected to stretch out over the next few years, and to play a role in the 2018 midterm elections - when Democrats and Republicans alike could use votes for Planned Parenthood as a campaign weapon. What Sessions said when he accepted it may prove to be even more explosive. Sen. Jeff Sessions, Donald Trump's pick for attorney general, has come under fire for accepting an award from right-wing extremist David Horowitz. 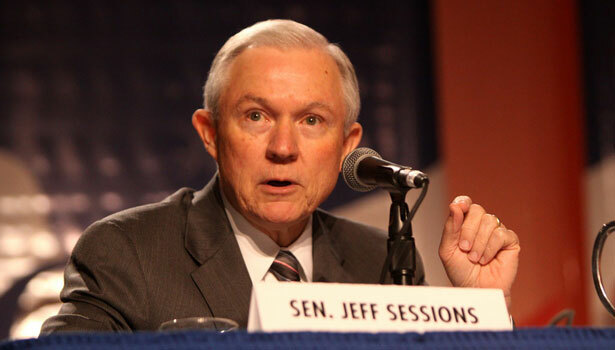 "Ultimately, freedom of speech is about ascertaining the truth," Sessions told Horowitz's audience in 2014. "And if you don't believe there's a truth, you don't believe in truth, if you're an utter secularist, then how do we operate this government? How can we form a democracy of the kind I think you and I believe in.... I do believe that we are a nation that, without God, there is no truth, and it's all about power, ideology, advancement, agenda, not doing the public service." Rep. Richard Hudson (R-NC), a member of President-elect Trump's Second Amendment Coalition, introduced the Concealed Carry Reciprocity Act of 2017. This bill is the broadest to date because it would force states--even states with strict concealed carry laws--to allow residents with a concealed carry permit issued in another state to carry concealed guns. Additionally, it would allow gun owners from states that do not require concealed-carry permits to carry weapons in states that do require permits. Conservative groups are planning to spend millions on an unprecedented campaign to pressure Senate Democrats to confirm President-elect Donald Trump's U.S. Supreme Court nominee to fill the vacancy left by the death of Justice Antonin Scalia. Fresh off spending more than $7 million to keep the seat vacant under President Barack Obama, the deep-pocketed Judicial Crisis Network will plow at least $10 million into advertisements urging a number of moderate Senate Democrats to support Trump's choice. There is no precedent for a departing chief executive like Barack Obama. He leaves office as the most popular politician in America only to be succeeded by a man who has mocked his work and has pledged to destroy it all. The truth is that Obama enacted careful, deep, and mostly popular solutions to a broad array of problems to which his opponents have no workable response. For all the horrors Trump may yet unleash, the specific changes Obama wrought may prove far more durable than either his gloating enemies or his despairing supporters believe. President Obama, delivering a farewell address in the city that launched his political career, declared his continued confidence in the American experiment. But he warned, in the wake of a toxic presidential election, continued economic inequity, racism and closed-mindedness threaten to shred the nation's democratic fabric. 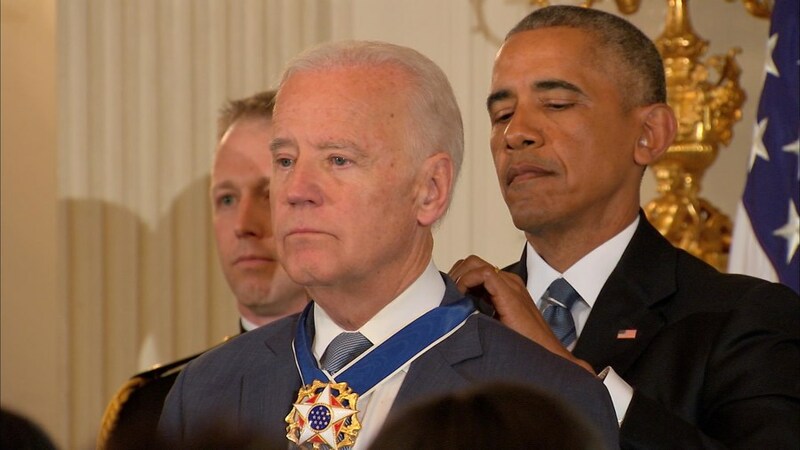 U.S. President Barack Obama surprised his Vice President, Joe Biden, on Thursday by awarding him the Presidential Medal of Freedom during a farewell ceremony at the White House. "This honor is not only well beyond what I deserve, but it's a reflection of the extent and generosity of your spirit. I don't deserve this, but I know it came from the president's heart," Biden said, after receiving the prestigious award. "Mr. President, you know as long as there is breath in me, I will be there for you. My whole family will be. And I know. I know it is reciprocal. And I want to I want to thank you all so very, very, very much," he continued. The famous Brandenburg Gate in Berlin was lit up in the colors of Israel's flag in solidarity with the victims of Sunday's terror attack in Jerusalem. The symbolic gesture on Monday by the Berlin Senate came about in part due to efforts by Green Party Bundestag member Volker Beck and a petition started by a member of the Jewish community. Some of the best Israeli TV, including "Srugim," "Prisoners of War" and "Fauda" (Lior Saltzman) are ready for streaming. These six shows draw on the inherent drama that just comes with being Israeli. Some are funny, some are painfully suspenseful, some are even terrifying - but they're all worth watching. "For every two steps forward, it often feels we take one step back. But the long sweep of America has been defined by forward motion, a constant widening of our founding creed to embrace all and not just some." Click here to find details on a March near you. Want a JAC sticker to wear at the March? Download a JAC sticker to wear at the March here. included in the EZ Read and on our Facebook page.